Marine Sergeant P.O. 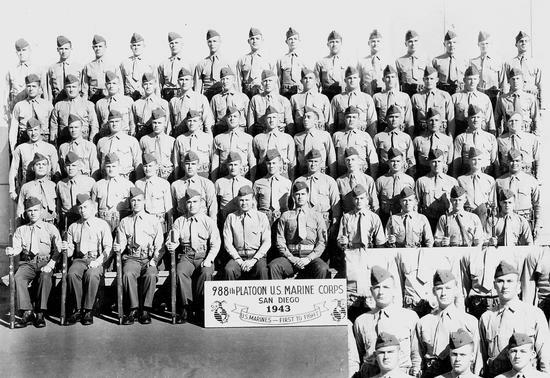 Goff (insert,center) with the 988th Platoon US Marine Corps stationed in San Diego, California in 1943. 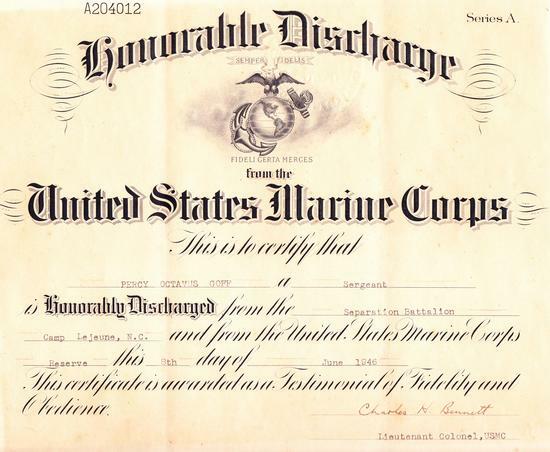 Honorably discharged from the Marine Corps on June 8, 1946. 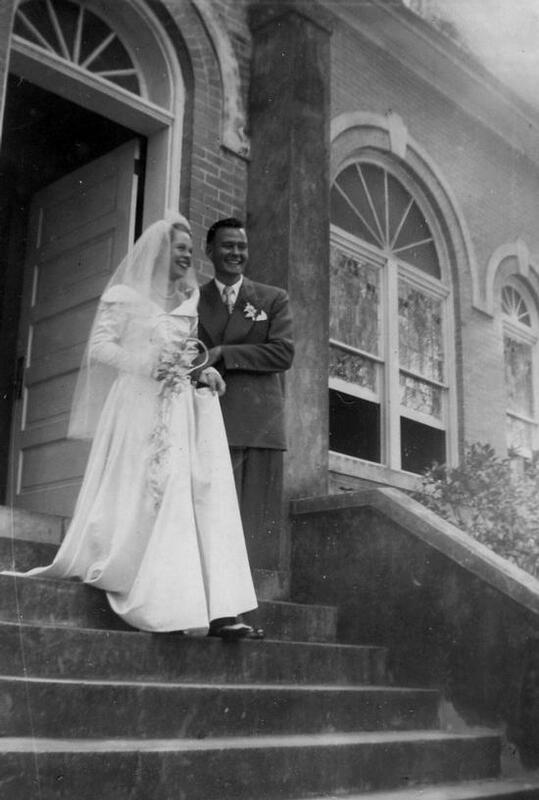 Marriage in 1950 to Miss Billie Jordan in Alachua, Florida. 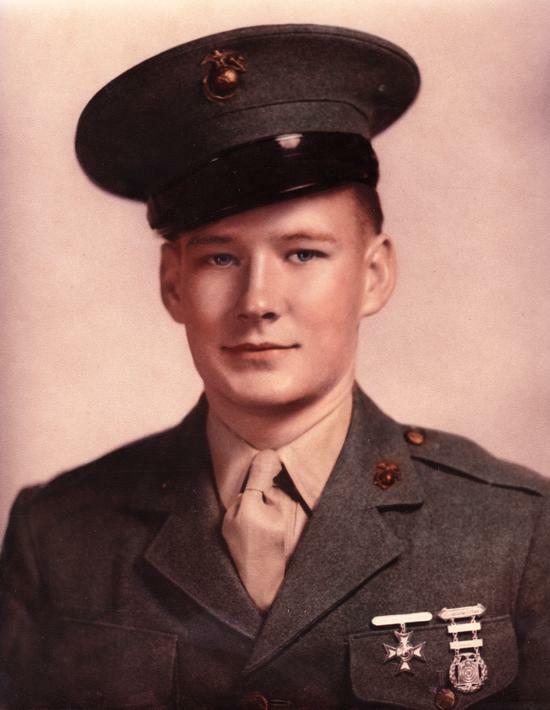 After being discharged from the Marine Corps he enrolled at the University of Florida obtaining a degree in Industrial Arts, later receiving a master's degree in Guidance & Counseling from Western Carolina University, Cullowhee, N.C. 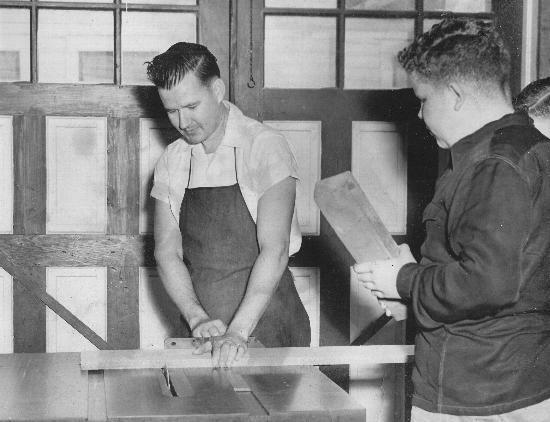 In his Industrial Arts class, 1959, Mr. Goff is explaining to Kenny Long how to fit a piece into the lamp his class has designed. 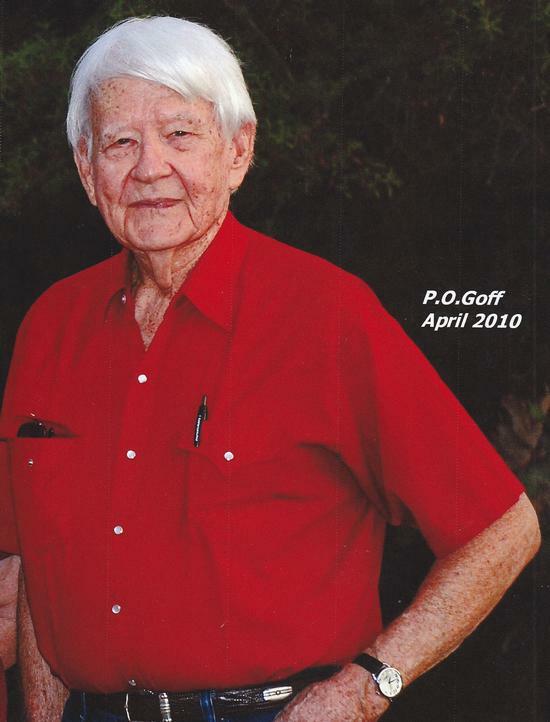 Mr. Goff began his teaching career at Avon Park High School in 1954 and retired in 1980. 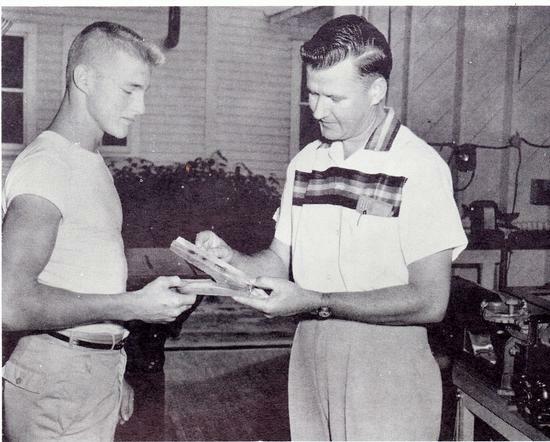 Giving instruction in 1955 to Industrial Arts student, Gene Thomas. P.O. 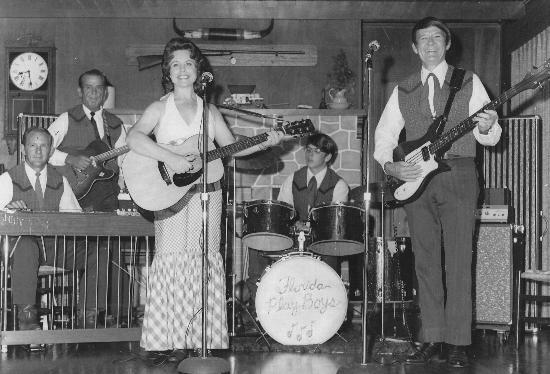 Goff and his wife Billie with the Florida Playboys "jamming" in the living room of their home in Avon Park in the 1970's. P.O. Goff, second from the right and next to him his good friend, Virgil Mills. He was a talented musician, especially country-western and light rock. Although he could play other instruments, the bass guitar was his favorite, even hand-making two beautiful ones. Even though he did not know a note of music, he could play anything that had a tune and sing anything that had words. 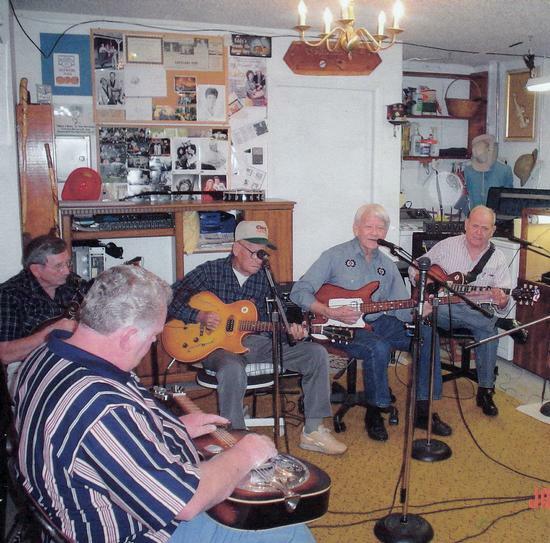 His Tuesday night sessions here in his "Cracker Shack" were free to everyone. Sometimes there were as many as 14 playing various instruments and as many as 25 listening. 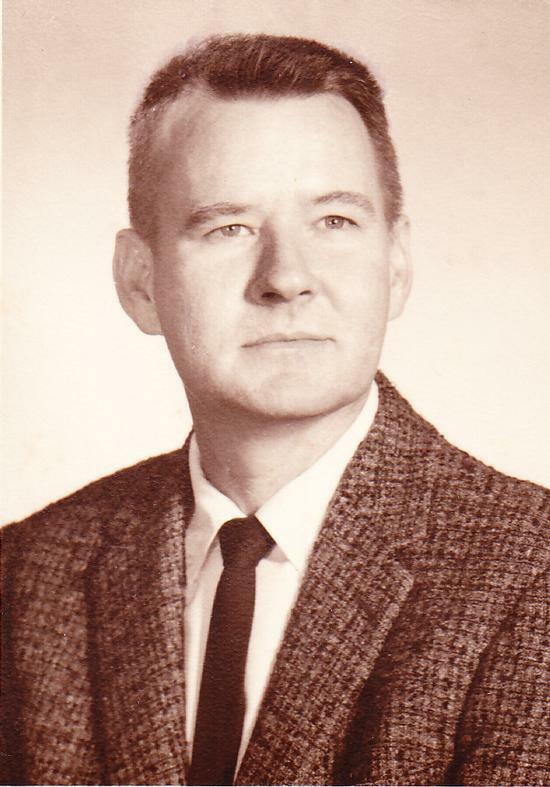 He is now playing in God's Band, having passed away on January 22, 2014. No funeral, but a memorial service was Saturday, March 1 at the Avon Park Lakes Baptist Church.